Insurance Transcription » Audio Transcription Services - High quality audio transcription services. Searching for fast, reliable, and inexpensive insurance transcription services? Located in beautiful San Francisco, California, AudioTranscription.Org offers low cost, highly accurate audio transcription for any and all of your insurance transcription needs. We understand that you need a reliable team of professional transcriptionists to manage your transcription needs. Our professional transcriptionists have the experience and the skills required to transcribe your documents accurately and quickly. Don’t trust your important transcription needs to just any company. If you choose a transcription company based solely on how little they charge, you may end up with inaccurate documents that were transcribed by transcriptionists who aren’t native English speakers. With AudioTranscription.Org, you can be sure your documents will be transcribed by professional transcriptionists who have passed rigorous proprietary tests proving their transcription skills and who are native English speakers. Here are just a few examples of the many types of files our professional transcriptionists can transcribe for you: recorded statements and interviews; telephone conversations; notes on investigations and probes; theft/property damage reports; property, casualty, liability, holdings, and assets reports; and fire and police reports. We also guarantee that your proofread transcript will be +98% accurate and that you will be 100% satisfied with our work. When you enlist AudioTranscription.Org for your proofread transcription needs, we won’t stop after simply creating your transcript for you. Once your transcript is complete, we will send it to a member of our professional proofreading team to be proofread for accuracy. If for any reason you’re not completely happy with your insurance transcription, we’ll redo it at absolutely no cost to you. 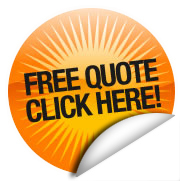 Want a free sample to see how good our insurance transcription services really are? If you have at least five hours of audio you need transcribed, we’ll happily give you a free transcript sample. It’s easy to get started today. Go to our get started page to upload your files and our transcriptionists will start transcribing. If you have any other questions, just fill out our short contact form, and we’ll have one of our accounts managers contact you with answers to your questions.